Small spider on a cow-lip. 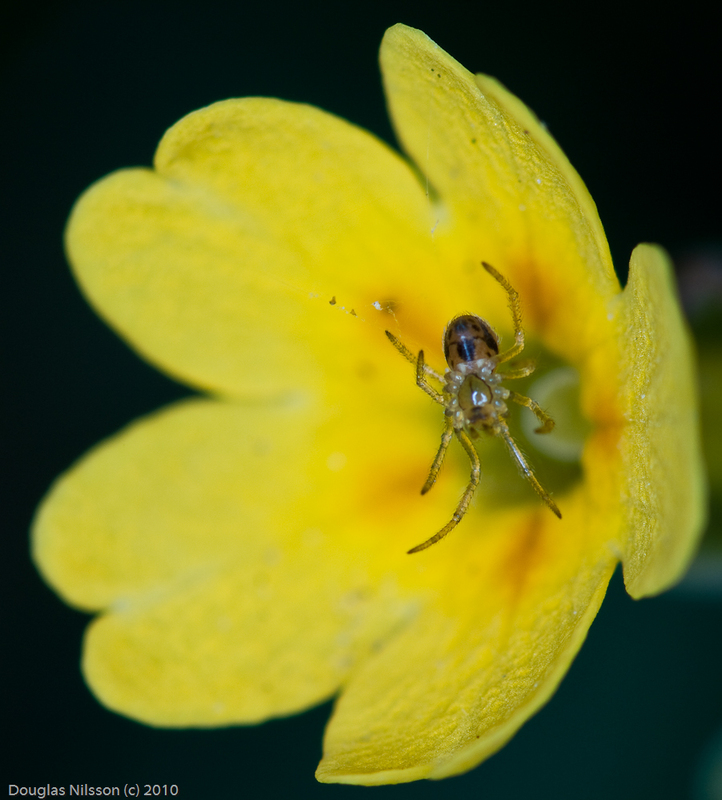 You who know what this flower is, knows that it's flowers are very small, and so is the spider. It was hiding in the flower, you can see it sitting on a few strings of web. I think that is how it hunt, waiting for some fly or so comming in to land for a lunch, to instead become lunch. 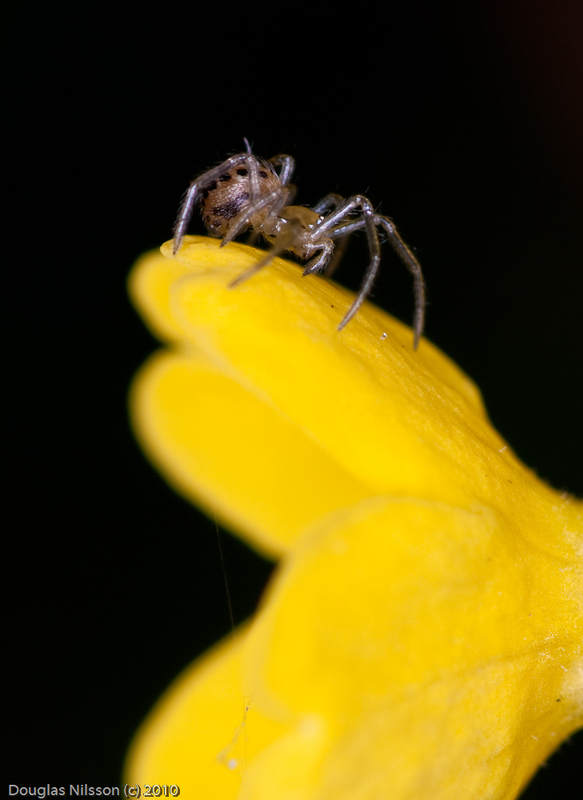 Shot with the DFA100/2.8 macro with a 1.7x soligor autofocus converter and the AF160FC ring flash. Shot at a macro fraction somewhere around 1.5:1. Lovely photos, was it the DFA100 WR or standard DFA100? I suppose the WR is the standard now, right? This is the old version with the apperture ring.